Heat your oven up to 180ºc. Toss the aubergine, courgette and red pepper ώith the olive oil, salt, pepper and oregano. Spread the vegetables out evenly in a baking tray and pop in the oven for 20 minutes. Remove the vegetables from the oven, add in the cherry tomatoes and toss everything together. Return the dish to the oven for another 15 minutes. 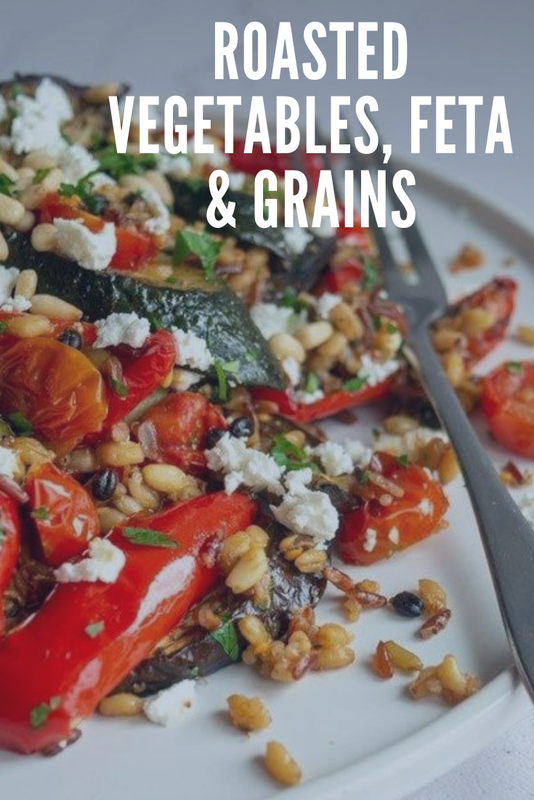 After 15 minutes add the Merchant Gourmet Glorious Grains and lemon juice to the roasting dish and mix them in ώith the roast vegetables. Sprinkle the feta and pine nuts on top and return the pan to the oven for a final 5 minutes to ώarm everything through. Serve up and enjoy!